Luckily, living in Bali gives me an added advantage to achieving this goal. Anyone who has been to Bali is aware that we are spoilt for choice when it comes to pampering. In nearly every part of the island you will be able to find unbelievably satisfying & relaxing day spas. Each offering the best of traditional Balinese massage, beauty treatments, body scrubs, floral baths & yes, you can let your imagination run wild. Whatever pampering you desire, Bali has it on offer. A massage in Bali can start from as little as five dollars (Aud) an hour and depending on what level of luxury you are after prices will vary. Here are some of the most luxurious day spas around Bali that provide uniquely affordable and heavenly experiences, which will no doubt leave you in a state of pure relaxation and rejuvenation– making you feel relaxed and ready for your wedding day. The Aqua Perla Spa at the Double Six in Seminyak is well known for using the skincare industries most luxurious and proven products. The day spa itself is a visual masterpiece; designed by some of the worlds leading architects. From the moment you step in the door you can’t help but feel the calm energy of the spa slowly relax you. The Aqua Perla has one-of-a-kind hydro-detox therapies to remove impurities from the body and restore clarity to the mind. You’ll leave feeling like royalty and your skin will have a radiating glow that says ‘here comes the sensationally beautiful bride’. Carrying stress in the shoulders? Just a short 5-minute walk from Ku De Ta & Potato Head you will find Body Works day spa. Bodyworks Seminyak specialises in personlised massage therapies. Using traditional techniques based on Chinese medicine, a Prognos Vitality Diagnosis will map out your body energy and allow the massage therapist to provide you with a massage that your body actually needs! The perfect massage for anyone with hidden nerves, pre-wedding jitters, or just doesn’t have enough time to meditate those negative thoughts away – let the experts at BodyWork slowly massage away any stresses or nerves that you just don’t need. Located in the Yoga capital of Bali, the Sankara Spa was designed to capture and embrace the unparalleled peace and calm of Ubud. The tranquillity of the Sankara Spa is a perfect haven for a couple wanting privacy, intimacy and mutual rejuvenation. With just two treatment rooms and a total of four massage beds overlooking the natural surroundings, this day spa will let you easily slip into a world where only you and your fiancé exist. The handful of beauty and massage therapists of Sankara Spa specialise in couple massages –harmonising each other’s energies for a transcendent experience like nothing you’ve ever had before. “Matter is the most spiritual perfume in the plant” A spa dedicated to channelling the energies of the body through all five senses. The Kori Ubud is the home of essential oils and aromatic spices. Each attentive and intuitive therapist creates a unique and customised blend of aroma’s in-sync with the type of treatment you are seeking. The professionally trained massage and beauty therapists at the Kori Ubud really know what they are doing when it comes to creating a whole body spirit & mind experience. The Jamu Traditional Spa in Sanur encompasses the best of ancient Balinese massage and beauty techniques that have been passed from generation to generation. Preserving traditional Balinese secrets for the ultimate healing and wellness for the body & soul. Jamu not only uses these natural techniques for massage but for a wide array of beauty treatments. You will be able to enjoy many kinds of all-natural facials using tropical nuts, fresh fruit peel, rose petals, papaya & pineapple nectars. The Maya Spa at Ubud perfectly combines all things Bali; with tours of rice fields, yoga sessions, cooking classes and a range of traditional body & relaxation treatments. My two favourite packages at the Maya Spa are the Morning @ Maya and the Day @ Maya. The Morning @ Maya includes a morning yoga session, followed by a relaxing traditional Balinese massage. 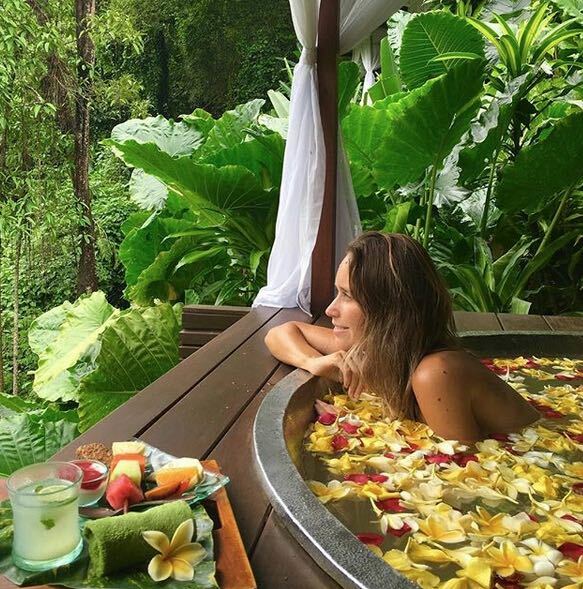 You then have a choice of a facial or whole body scrub and then end of the morning with a luxurious rose petal two-hour bath. The Day @ Maya package comprises a morning yoga session that will stretch and flex your entire body. You will then head off on an escorted light rice field trek and have a traditional Balinese and Indonesian cooking class. After your delicious lunch you will enjoy all the benefits of the Morning @ Maya package; the Balinese massage, choice of facial or whole body scrub and rose petal bath. 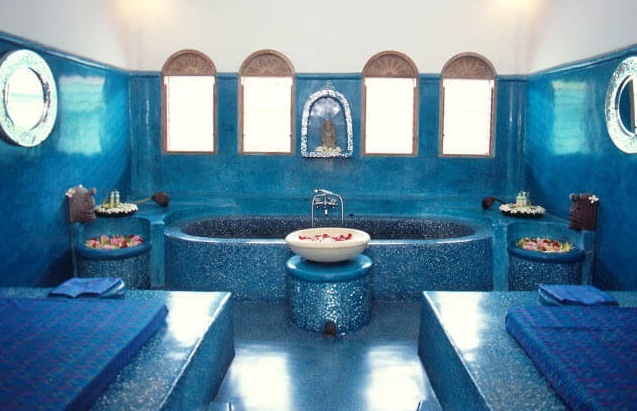 Book at least one day in advanced and you will be spoilt with foot reflexology and use of the resorts swimming pools.